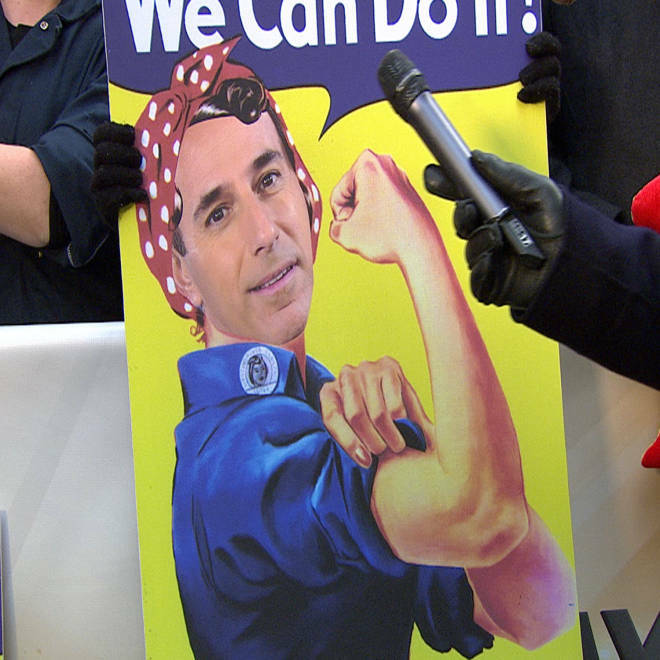 That's why this sign – starring Matt as Rosie the Riveter – is the best plaza placard of the day stars Matt, as Rosie the Riveter. Ann received the Rosie treatment, too (at right). 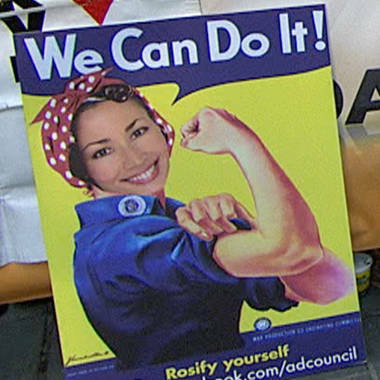 The posters are part of a 70th-anniversary campaign from the Ad Council. Head over to their Facebook page to turn yourself into the World War II icon. Steve Veres is an editor for TODAY.com. He's secretly spending the next two hours "Rosifying" all of his coworkers. You're welcome, coworkers.